Fingers crossed, your history of driving under the influence in Los Angeles looks nothing like that of David Louis Layne, a fifty-five-year-old resident of Alabaster, Alabama who was recently cited for driving under the influence…. For the 25th time. Come on! The Shelby County Circuit Court charged him with DUI and third-degree assault, saying Layne drove “recklessly” and injured an occupant of the other vehicle when the auto crash occurred. If Layne is convicted, this will be his latest in a string of serious DUI convictions that date back decades. 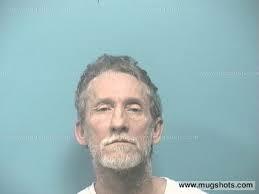 Layne has received at least 24 previous DUI convictions in Alabama and remains in Shelby County jail on $101,000 bond. He was formally indicted in October 2014 for causing a crash that injured at least one other person on September 4, 2014. Layne’s next hearing is set for February 24, 2015. In Los Angeles, DUI penalties can include informal probation for a first offense to DUI school attendance from three to thirty months. Other penalties can include jail time from sixteen months to four years, revocation of a CA driver’s license, and fines up to $5,000. If convicted of felony DUI or second degree murder DUI, the defendant could face revocation of his or her license for up to ten years and possibly life in prison. If released from prison, a defendant in a second degree murder DUI case must be on parole status for up to five years. Michael Kraut and the Los Angeles DUI attorneys of the Kraut Law Group would agree people like Layne can be quite dangerous, but most people who get arrested for similar crimes do not have anything like that kind of checkered driving history. Mr. Kraut would like to remind readers that multiple DUI convictions in Los Angeles and the greater area can result in escalating punishments, including the elevation of what would be a misdemeanor to a felony. The increasingly harsh discipline for multiple DUIs can affect a person’s physical and mental health, self-concept, career prospects, and more.